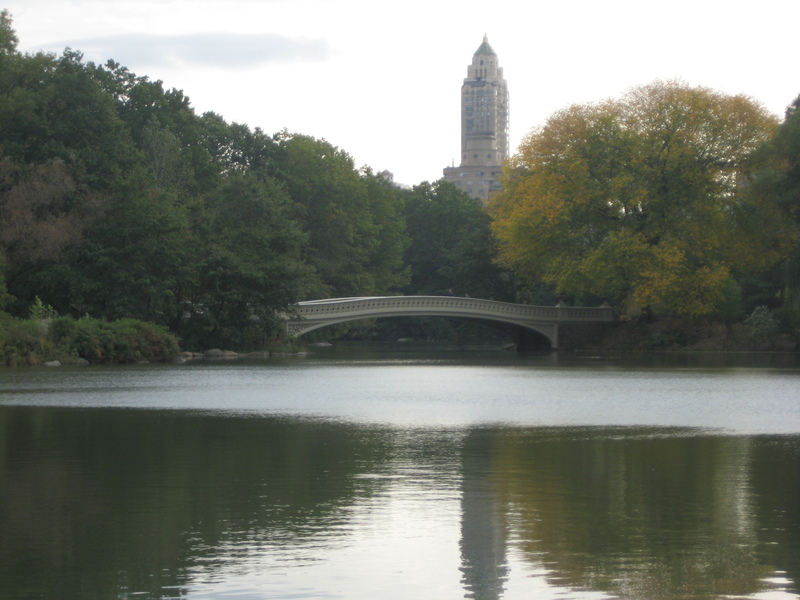 This bridge in Central Park is not only beautiful, but Patrick Dempsey strolls along it during Made of Honor, a very cute chick flick. Bethesda Fountain, also in Central Park, figures in a great musical number in Enchanted. It’s also the iconic image from Angels in America. I recommend the first, not so much the second. 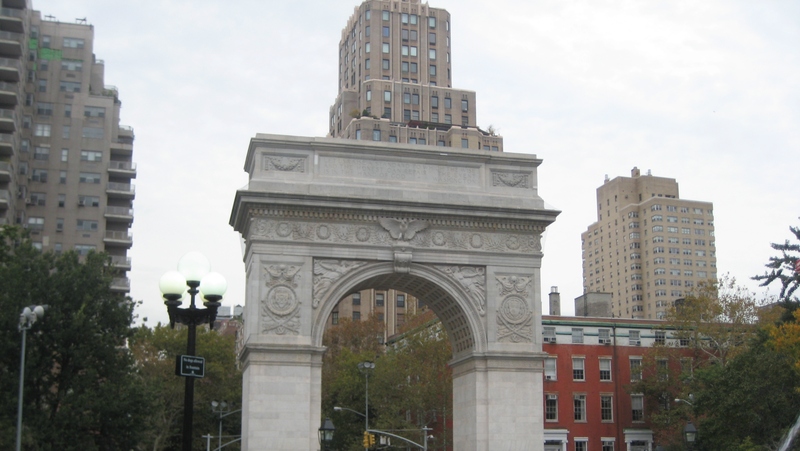 I was thrilled in Washington Square to unexpectedly stumble across the arch from August Rush, a wonderful movie starring Freddie Highmore. Anyone else with movie-settings-in-real-life stories? 🙂 And of course, visit At Home with Books for more Saturday Snapshots! Thanks for taking me to all of those movie spots. Did you have a smart phone to show you where they were, or did you just recognize them? we were watching Midnight in Paris the other night and found a Google map on our phone so we could figure out if we had visited the various sights. I just recognized them, no technology help. In some ways the most fun part is stumbling on a recognizable scene unexpectedly! Although a guide to help me find more would be handy too. 🙂 Knowing New York, I probably passed other movie spots without realizing it! That’s great! I had surprisingly seen all the movies you mentioned, so that was a fun idea for a post! Nice shots, and interesting to have the movie references- I get a thrill from that too. Love the photos and how you tied those with movies! I kept seeing “familiar” places in New York, too. Fun! The only one of those movies I’ve seen was Enchanted, which I thought was a lot of fun. Nice photos! What a great movie/real adventure. I haven’t seen too many of the movies you mention, but I started to watch Angels in America, I found it rather disturbing. So I wouldn’t recommend it either. Great pictures and movie references. I had no idea about any of those movies. Lovely photos and connections to movies. Makes me want to visit New York even more! Great movie tie-ins. I don’t generally make connections like that–simply because I read way more than I do movies. I loved that you tied your visit into movies you’ve seen! Oh, I love seeing “familiar” sights that I’ve enjoyed in movies. These are great! Years ago, after a trip to Boston, I recognized some scenes in a movie afterwards. I love how in NY everywhere you go you see something familiar – even the street signs (Wall Street, Broadway, 42nd Street, etc). It’s a terrific place to visit. Great pictures! I’ve only been to New York once and I didn’t get to see much. I love New York! Your movie connections make your shots all the more intriguing, as I now wonder what I’ve looked at on the New York skyline and at various spots and seen elsewhere in media. Great shots of the city. We were there about a month ago and plan to return in the fall. I enjoyed Made of Honor because part of it was filmed at one of my favorite castles in Scotland, Ailean Donan. The first time I was in the Highlands, our hotel room looked out at that castle.